King Lear at the Minerva Theatre is the jewel in the crown of Daniel Evans’ opening season as Chichester’s Artistic Director. Ian McKellen is every inch a king in Jonathan Munby’s production that is currently playing a short, sold out season. Staged unpretentiously in modern dress, the court of this King Lear bears the accoutrements of the 21st century, yet still respects and celebrates the beauty of the mediaeval verse. At 78, McKellen brings a credibility of age that only underscores this definitive interpretation, bringing a masterful touch to Lear’s mental decline - “Oh let me not be mad” has rarely carried so much pathos. 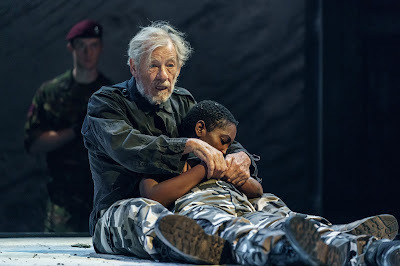 It is however the strength of the company around McKellen that adds the lustre to this, the finest of recent King Lear productions. And that lack of overplay is the essence of this show’s class. Damien Molony’s Edmund is a role that is too often played to as a calculating pantomime villain. Here, Molony’s soft Irish brogue offers an Edmund imbued with an embellished evil that again comes with a classy credibility. Tamara Lawrance’s Cordelia creates a particularly distinctive magic with Lear in their Act 4 reconciliation. Her talent combined with McKellen’s aged genius offers a moment of tenderness that is, again, rarely achieved. 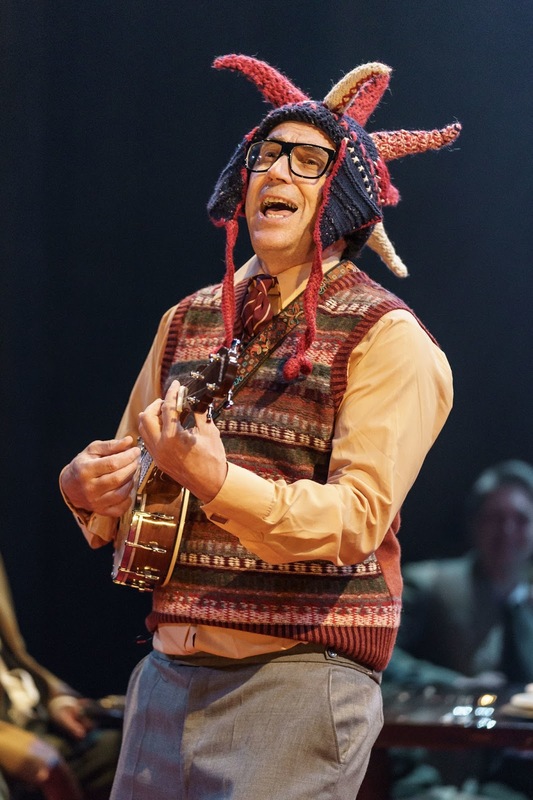 A highlight of the production - certainly for this reviewer - is to see Phil Daniels return to the role of Fool. Daniels last played the Fool at Exeter in 1980, a production that I had the privilege of seeing. He was 20 then and fresh out of the success of Franc Roddam’s Mod movie Quadrophenia, bringing a cheekily youthful mania to his nuncle-baiting. That boy has now grown up into a bespectacled, tank-top sporting man (think Ronnie Corbett, but taller) and in this coming of age, Daniels brings a level of nuance to the Fool that is rarely (if ever) seen. Daniels still sports his coxcomb magnificently, but now his mirth belies a profound and troubling worldly wisdom and in an inspired touch, Munby has him sing his (many) songs, self-accompanied on the ukulele. It's a music hall touch, juxtaposed onto a modern interpretation of a century's old play and it works perfectly. The Fool’s exit from the play has long been a source of debate as Shakespeare famously leaves it vague in the text. Here however, Munby has had some fun, introducing his own little kicker just before the interval ice-creams. And again, in one of the play’s smaller roles, Michael Matus delivers a pompously priggish Oswald, making more of the obsequious functionary than is typically encountered in the play. This is also a King Lear that having freed itself from the constraints of racial and gender specific casting loses none of the play’s impact in the process. Indeed the modernity of Munby’s staging lends itself to a bonfire of traditional casting stereotypes. Most distinctive amongst these translations is Sinead Cusack’s Countess of Kent, in place of that county’s traditional Duke. Cusack brings a steely kindliness to the role which opens up a different and rather enchanting take upon the loving devotion she shows towards Lear. Notwithstanding the contemporary staging, Munby spares us any heavy-handed spin on the ancient yarn, allowing us space to draw our own contemporary political comparisons. “See better, Lear” is how Kent admonishes his King in Act 1. I doubt there'll be a better Lear to see, and for some time.